shiotadesu suggested Korilakkuma (コリラックマ / Rilakkuma’s little female friend), Kodomo no hi (子供の日 / Children’s Day), and Kotohira (琴平町 / a place in Kagawa, Shikoku); Japan Australia suggested koma (独楽 / spinning top), kotatsu (炬燵 / a low heated table), Kobe (神戸 / in Hyogo Prefecture), and Kochi-jo (高知城 / Kochi Castle); Zooming Japan suggested Kojima (児島 /in Okayama Prefecture), koto (箏 / a musical instrument), and Kokura (小倉 / in Kitakyushu); Jay Dee suggested Koshien (甲子園 / a series of baseball-themed video games), Coq au Rico (ココリコ /a comedy duo), Kofu (甲府 / the Capital of Yamanashi), Kochi (高知 / in Shikoku), Kobukuro (コブクロ/ a pop group), cosplay (コスプレ / costume play), Costco (コストコ / a shop), and kome (米 / rice); lovelycomplex22 suggested Kodomo no hi; and UK Seikatsu suggested koinobori (鯉のぼり / carp streamers), kokeshi (こけし / traditional wooden dolls), kotatsu, koto, Konaki-jijii (子泣き爺 / a character from GEGEGE NO KITARO), koma, and kome. It’s the one thing I would import from Japan above all others (even Kit Kats!) if I had the money. There is nothing cosier that than sitting on the floor with your legs tucked up under one of these, like being wrapped in an electric blanket. 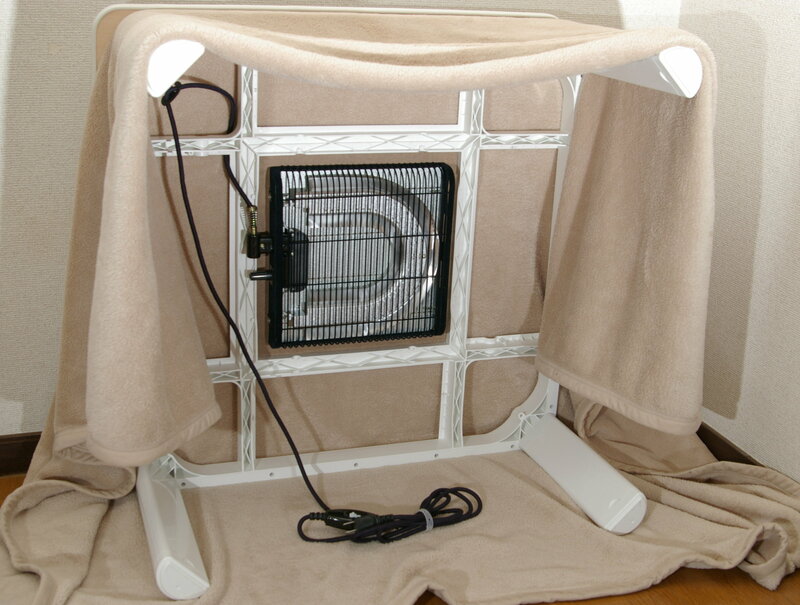 These days a kotatsu has an electric heating element built into the table, and the futon or blanket on top helps to keep the heat in. However, kotatsu have been around since the 14th century and were originally heated with charcoal. The original kotatsu, called a hori-gotatsu (掘り炬燵), was basically an extension of the cooking hearth, called an irori (囲炉裏). The irori was a sunken heath, and by the 14th century a seating platform was introduced and a quilt was placed on the wooden platform to trap the heat. The moveable kotatsu (oki-gotatsu / 置き炬燵) wasn’t invented until later, but they were still heated with charcoal until the middle of the 20th century, when electricity took over. 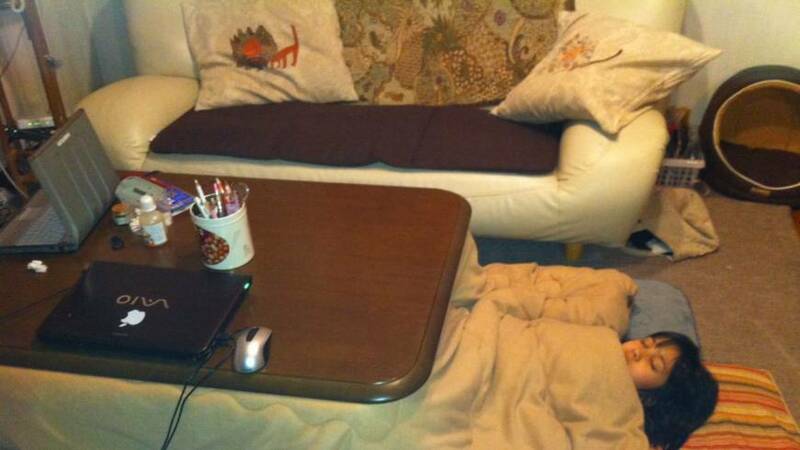 Most Japanese homes don’t have central heating, so the kotatsu is the perfect way to stay cosy on cold winter nights. It also helps to promote a family atmosphere, as everyone can gather together around the kotatsu to eat, watch TV, study, etc. I remember a few times when I’ve been to Japanese homes in the winter for nabe (hotpot) parties and really enjoyed sitting on the floor around a kotatsu with everyone. I like sleeping under the kotatsu because not only is it warm, but it is located in the living room which is close to the kitchen, refrigerator, TV and toilet — all things you might need in the middle of the night…. Now I’m under the kotatsu table all the time and have relocated here for the entire winter. Send all correspondence to Amy Chavez, Under the Kotasu, Shiraishi Island, Japan. Or perhaps, like Shakespeare lived in Stratford-upon-Avon, my address could be Kotatsu-upon-Amy. 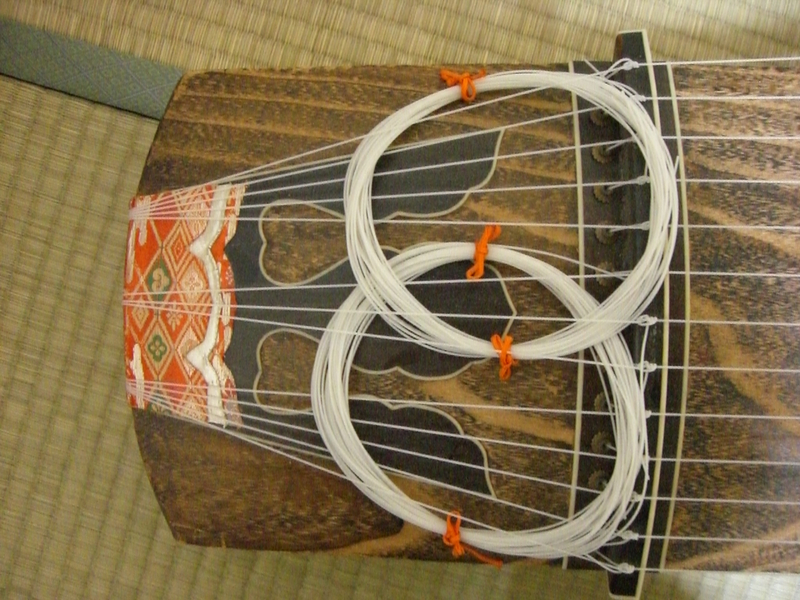 A koto is a traditional Japanese stringed musical instrument, and is the national instrument of Japan. 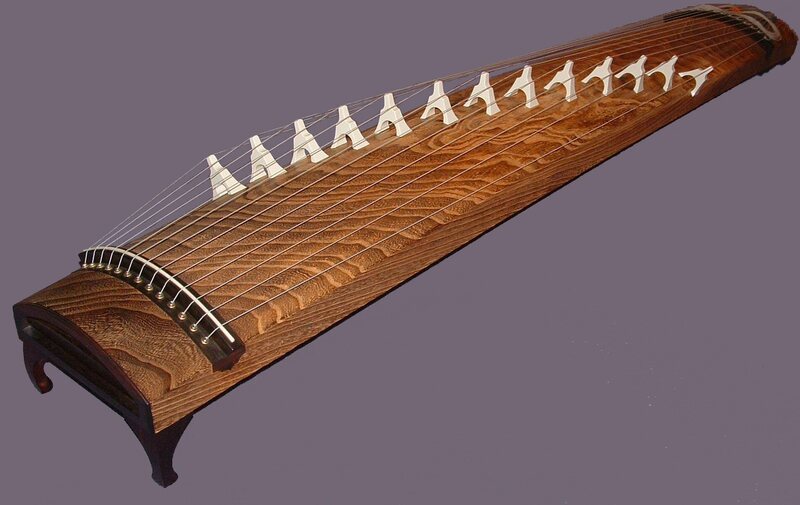 The koto was first introduced to Japan from China in the 7th and 8th century, starting with 5 strings and gradually increasing to the 13 strings it has today. I had a chance to have a go on a koto once, and was surprised how easy it was to make a nice sound quickly. I’m not musical at all, but once I put the picks on my fingers I was able to make quite a nice sound. Note that the finger picks aren;t usually attached to strings – I was in a museum! 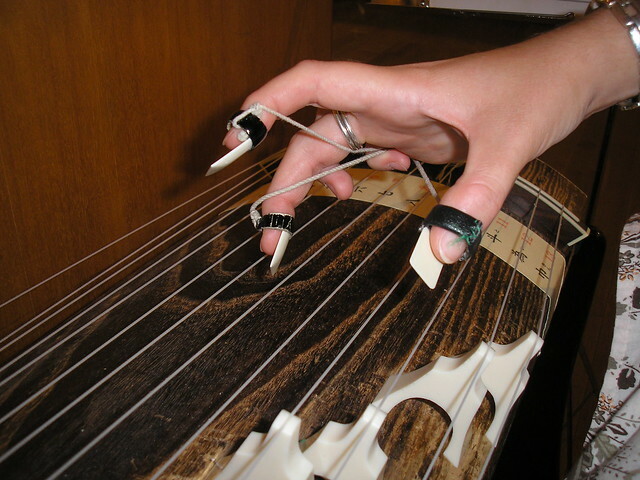 Although a traditional instrument, the koto has been used in modern rock and pop music, too. One particular piece worth noting as far as I’m concerned is ‘Moss Garden’ – a track from David Bowie’s Heroes album. Although I can’t play any musical instruments, I love music, and also love how certain instruments look. I think the koto is an unusual instrument to look at, and can be quite beautiful. I hope people continue to play the koto, if necessary working it into modern music, as it would be a terrible shame if such a beautiful sound were to die out. My final topic this week is one many of you will know about – and many of you will probably know a lot more than me about it – cosplay! 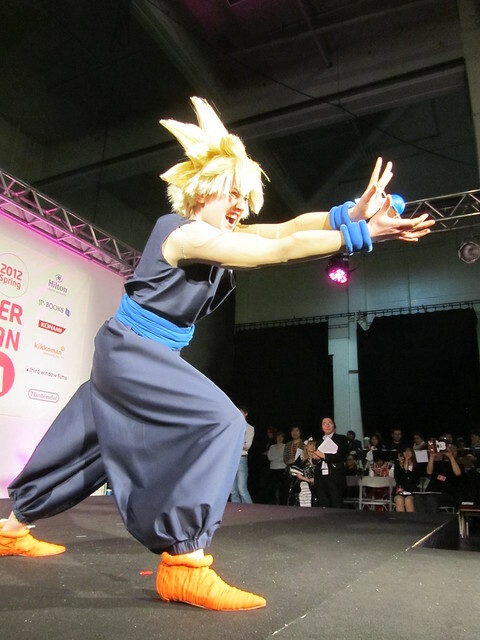 Cosplay (a portmanteau of the words ‘costume’ and ‘play’) is the act of dressing up as characters from popular computer games, anime, manga, films, etc. 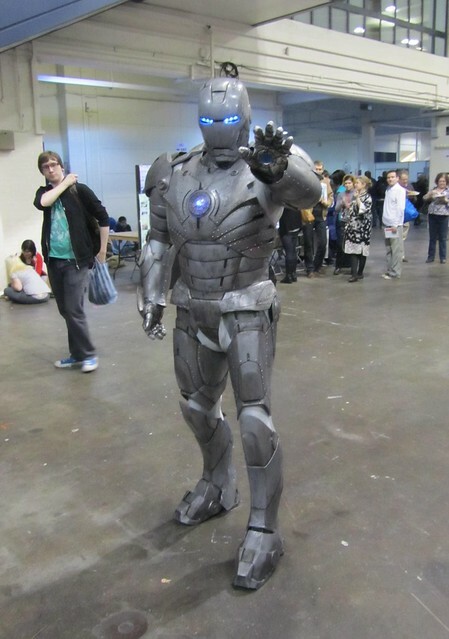 But it’s more than just buying and wearing a costume – most cosplayers make their own costumes and accessories, and part of the enjoyment comes from dressing up as precisely like the original character as possible. 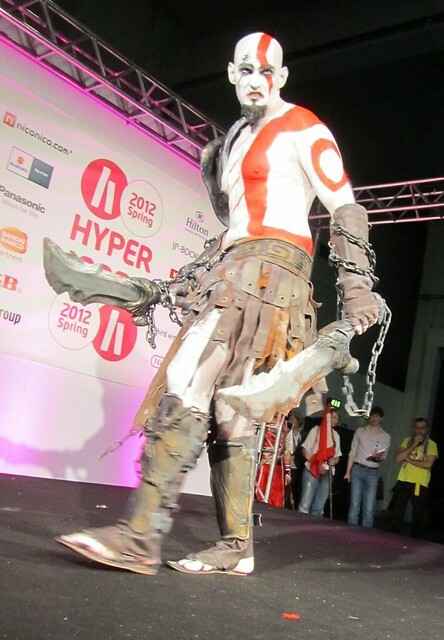 There are many opportunities for cosplayers to enter competitions all over the world and compete for best costume. These competitions usually involve an element of acting too, and participants often act out small scenes from the relevant games or movies. I think I would get more into cosplay if I knew more of the characters, but even without knowing the characters it can still be very fun to see the effort people have gone to. 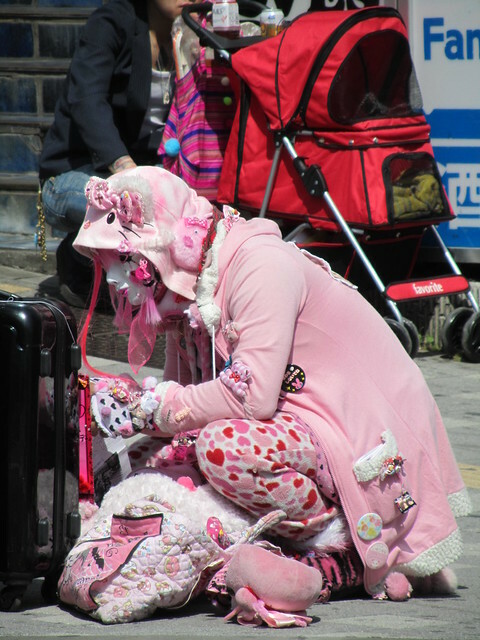 This person in Harajuku is clearly dressed up in a costume of sorts but, despite the pink theme, this is probably just fashion rather than cosplay (do correct me if you think I’m wrong!). So, would you do cosplay? Have you done cosplay? Which character would you choose? I’ve often wondered which character would suit me best but have never been able to decide – what do you think?? Next week we’ll start with さ (sa), so please leave a comment below suggesting a topic for things beginning with さ. Topics can be anything, as long as they are connected to Japan – food, places, people, characters, whatever you want to hear about! Just remember that the words you suggest must be Japanese (for example, you can’t suggest ‘sand’ for ‘sa’, because ‘sand’ in Japanese is ‘suna’, but you could suggest ‘sakura’, which means ‘cherry blossom’. Definitely must mention sakura, as it’s that time of year. Also, Saitama, salaryman, sashimi, samurai, Sapporo, Saga, Southern All Stars (Sazan All Stars), and Sazae-san. Lots to suggest. A nice mix of topics this time. Sakurajima (Kagoshima Prefecture) and satsuma imo (delicious Japanese sweet potato). Thanks for the suggestions for next week. Yes, sakura, of course. I was so lucky to be in Kyoto last year at the beginning of April. It was really beautiful. 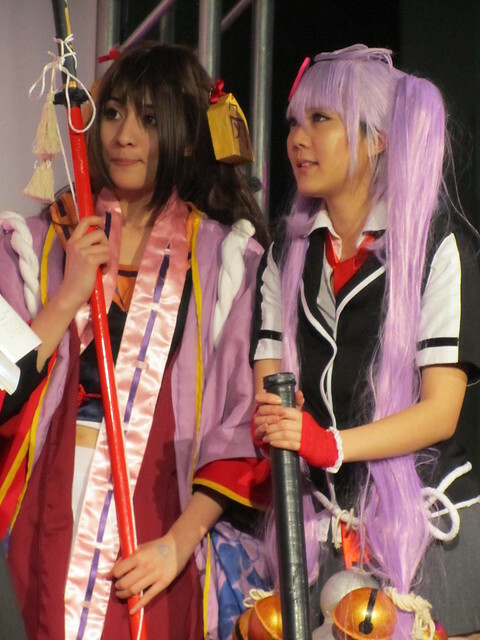 Haha I’ve cosplayed before! You might not know the character though, but look it up, it was Yoruichi from Bleach 🙂 It was such a fun day, and tbh I think I’d cosplay more often if I had the money to do it 😉 Btw that guy dressed from God of War looks quite good! For next week how about Sakura or Sazae san? Wah – that’s so cool! Where are the pictures?? Sazae-san! is definitely a good one. Service (not just the concept of service but also how it’s used to mean “this is on the house/free”). Sansho? Saakuru (circles) in universities?